Create a calming sanctuary on your dental chair for your patients, both child and adult with our wipe-clean weighted blankets. Perfect for patients with Anxiety, ADHD, Autism, OCD and any other condition which causes anxiety, such as visiting the dentist. If you treat nervous or special needs patients, a weighted blanket will greatly improve their sense of comfort. 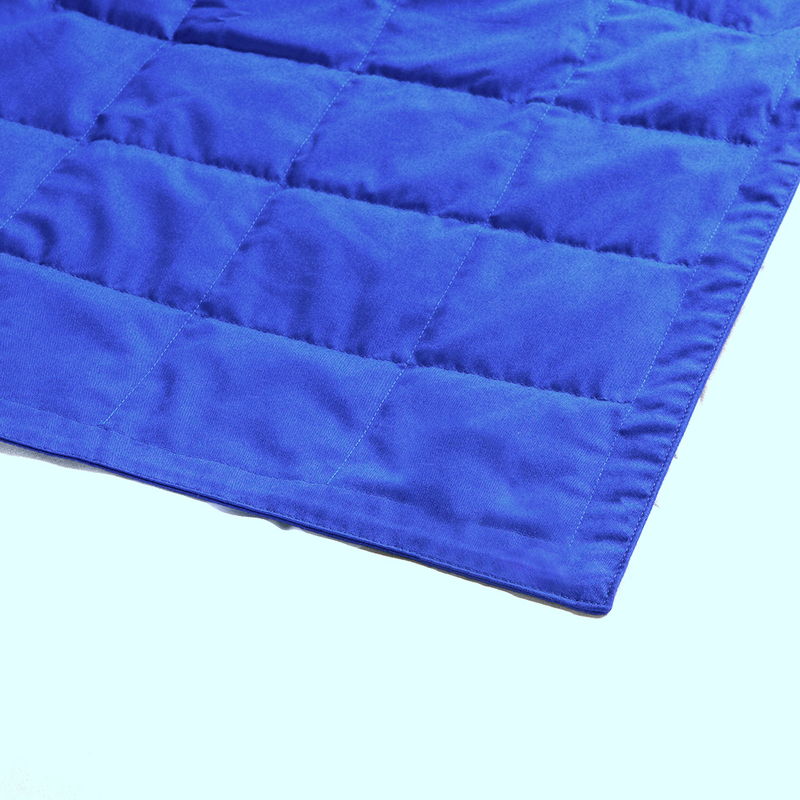 Weighted blankets have been proven to reduce anxiety, to calm and reassure. Used in conjunction with our memory foam head rests and supports, your patients will be in bliss. Although used widely to help people with ADHD, Autism, OCD and Anxiety related conditions, these weighted blankets can also be used for anyone suffering from anxiety due to simply being in the dentists chair. A study in The Journal of Medical and Biological Engineering in 2012, looked at how patients nervous systems reacted when having DTP (deep touch pressure) through the use of a weighted blanket. The subject's nervous systems were measured. and the findings gave positive results “this study provides physiological evidence to support the positive clinical effects of DTP (deep touch pressure) for reducing anxiety in dental environments. A study from Occupational Therapy in Mental Health in 2008 found that when a weighted blanket was used with patients, the majority of them reported lower anxiety. The "hugging" effect is a type of sensory calming called proprioceptive input, which is pressure on the muscles and joints. Proprioceptive input sends signals to the brain that cause serotonin to be released, which is the neurotransmitter in the brain that makes people feel happy. An increase in serotonin causes natural melatonin to be released in the brain giving an even more a feeling of calm. The blankets are filled with plastic beads and made from a water resistant, wipe clean material. The distributed weight gives a feeling of security. Fidgety patients will be calmed and therefore be easier to treat. These blankets are also a benefit for patients who are having a lengthy procedure, the added pressure giving a feeling of security. The blankets are available in different weights and should ony be 10% of a patients body weight. • Promote a calming effect for your patients, both child and adult. • Relieve anxiety and stress and give a feeling of safety and security to special needs patients. • These blankets are made of a fire retardant material that is water resistant making them easy to care for and wipe clean. • Do you get fidgety children? You might want to try our full body weighted blankets or our lap or shoulder wraps. The weight has a soothing effect, which makes patients much easier to treat. • These weighted products are perfect for people with Anxiety, ADHD, Autism, OCD and any other condition which causes anxiety. • There are various weights available to suit your patient profile. • Independently tested to BS5852 (part 1 : 1979) and BS7175 (part 3 : 1989). CE marked and registered as a class 1 medical device with the MHRA (Medicines & Healthcare Regulatory Agency). • Not only can they be wiped clean, they are machine washable at 40 degrees.